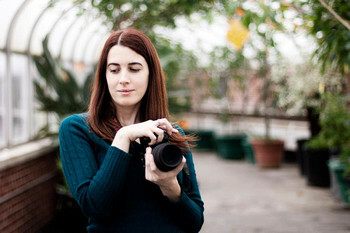 My name is Erin and I am a portrait and art photographer based out of Halifax, NS. I fell in love with photography about ten years ago while taking a photojournalism class. The course showed me that there is something so beautiful about photography, the way a photo tells a story, how it captures a moment in time and preserves for future generations. I had always wanted to be a storyteller but this new medium fascinated me and I've been working in photography ever since! Over the past ten years I have met with so many amazing clients and told their stories through my photographs. I co-founded an art studio which created some amazing and magical images (Dragon-Fly Photography Studio) and worked with some of the best artists around. I am very excited to have returned home to Nova Scotia and set up my own photography business. I have always been inspired by the landscape and the wonderful people who live here. I am a huge Sci-Fi and Fantasy geek, and love working with cosplayers, make-up artists and all the amazing creatives in the Maritimes! If you are looking for a photographer to tell your story, someone to capture a few precious moments between family members or help bringing a creative idea to life, please send me an email! I'd love to talk with you!